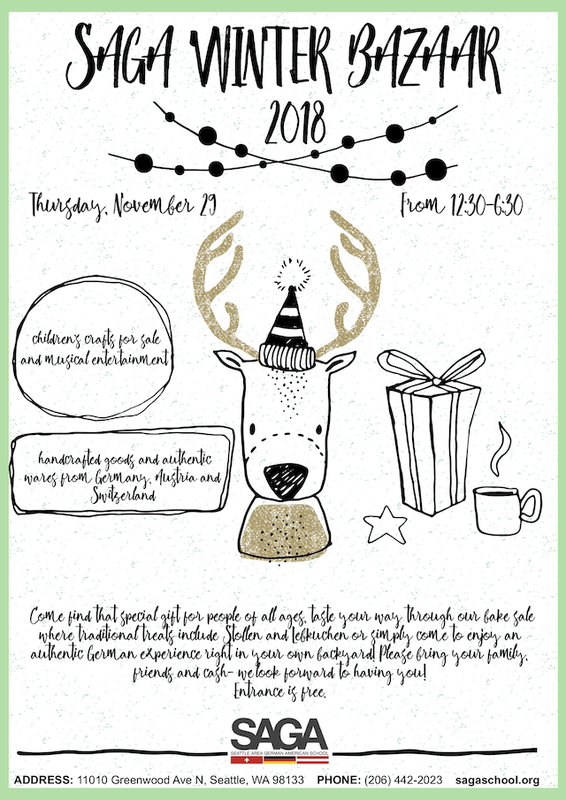 SAGA German Language School and the German-speaking community will hold a German themed holiday bazaar on Thursday, November 29, from 12:30 - 6:30pm at SAGA (Seattle Area German American school) 11010 Greenwood Ave N, Seattle 98133. German bake sale, handcrafted goods and authentic works from Germany, Switzerland, and Austria. Enjoy an authentic German experience right in your own backyard!